Keeping education accessible and affordable means making sure every one of our students can earn their degree with as little debt as possible. One way we set our students up for success is by maintaining reasonable tuition rates and providing scholarships that enable students to owe less after they graduate. These scholarships are made possible thanks to many generous contributors. Over the course of the past year, we were able to distribute $2.4 million of institutionally funded aid to Peirce students! 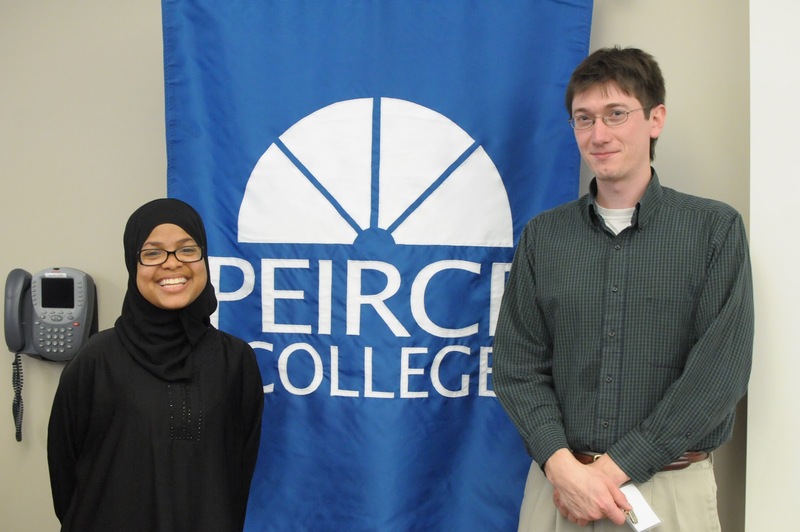 Last week, Peirce’s second annual scholarship reception celebrated that generosity. It was a chance to bring everyone together to honor the achievements of our student scholarship recipients and express gratitude to the contributors who have invested in our students’ futures through the College’s various scholarship programs. 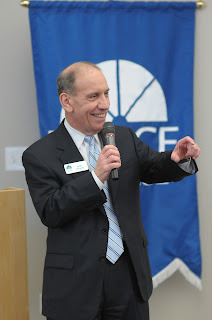 Peirce President James J. Mergiotti welcomed the attendees, and two student speakers then stepped to the podium to share how their scholarships have helped them fulfill their educational goals. One of these students was Sheena Goodman, who is majoring in Healthcare Administration and Management and plans to graduate in 2013. She talked about the impact scholarships have had on her education. As the recipient of last year’s FYI, Alumni, and the Board of Trustees Scholarships, Sheena has been able to take additional classes, use less student loan money, and reduce the debt she’ll have upon graduating. Alex Sullivan also shared his experiences, talking about how receiving the Paralegal degree program scholarship in late 2010 helped him to make the initial financial transition back to school. After earning a bachelor’s degree in history from Arcadia University in 2009, Alex went on to work in the business world for about two years. But it wasn’t long before he decided to return to school at Peirce to pursue a paralegal certification and realize his dreams of entering the legal profession. He recently completed the courses for his post-bachelor’s certificate and will graduate in June! Looking ahead, Alex plans to put his post-bachelor’s certificate to use in the field of law, and perhaps attend law school. TRANSFORMING LIVES: Congratulations to all of this year's scholarship recipients! Every one of these scholarships plays a role in transforming lives through education. If you’re interested in making a contribution to a scholarship, call the Office of Institutional Advancement at 215.670.9323. Students interested in exploring scholarship opportunities can contact the Office of Financial Aid to learn more about the scholarships Peirce offers. On behalf of the entire Peirce community, I’d like to again thank our generous donors for your continued support in making educational dreams a reality for our scholarship recipients.